If Magna wins Opel, the automaker will have much closer ties with Russia. MOSCOW (Reuters) - Russian carmaker GAZ is not interested in an equity stake in Opel, owner Oleg Deripaska told a business daily newspaper. "We can help them set up assembly at our facility and offer our dealer network for marketing. There is no talk of buying a stake," Deripaska told Vedomosti in remarks published on Monday. Opel's U.S. parent General Motors Co. is under pressure from the German government to sell a majority stake in Opel to Canadian supplier Magna International Inc. The Magna bid is to be part financed by Russian state lender Sberbank but Russia's largest bank is unlikely to be a long-term holder of the stake, which analysts believe is a key to the government's plan to modernize its backward auto industry. 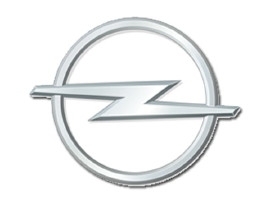 GAZ is an industrial partner in the Magna-led bid for Opel and its British sister brand Vauxhall. Sources have said some GM board members favor keeping Opel rather selling the loss-making unit to Magna or rival bidder, the Belgian investment company RHJ International. The issue of handing over technology to Russia has been a thorny one. Deripaska, who was once denied a visa to the United States, conceded that Russian business was often not welcome abroad. "In the Opel case the issue is also the U.S. State Department's suspicions," Deripaska said.